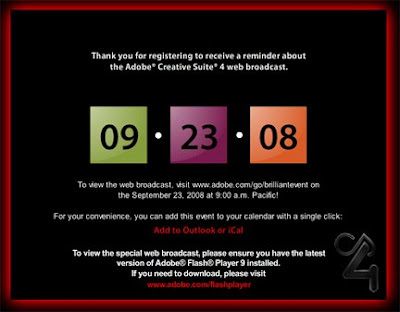 Adobe announced Photoshop CS4 Launch Date today. I signed up for the webcast on 9/23 at 9AM. You can also sign up by clicking here. Johnny L gave us a sneak peek of CS4 at the Photoshop World Keynote this morning.